I can feel it coming in the air tonight, oh, Lord. I've been waiting for this moment for all my life, oh,  Lord. But I was there and I saw what you did, I saw it with my own two eyes. It's all been a pack of lies. Well I remember, I remember, don't worry, how could I ever forget? It`s no stranger to you and me. 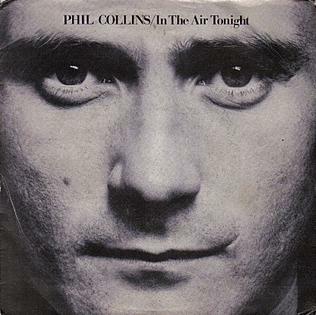 "In the Air Tonight" is the debut solo single by the English singer-songwriter and drummer Phil Collins. It was released as the lead single from Collins' debut solo album, Face Value, in January 1981. It was also an international hit, achieving top 10 status in Australia, New Zealand and several European territories, reaching No. 1 in Austria, Germany, Switzerland and Sweden. It peaked at No. 19 on the Billboard Hot 100 in the United States, and was later certified Gold by the RIAA, representing 500,000 copies sold.